Ever Fancied Cycling to WOMAD? Well, now thanks to Red Fox Cycling you can! They’ll organise everything for you ensuring a fun, stress-free and eco-friendly journey. 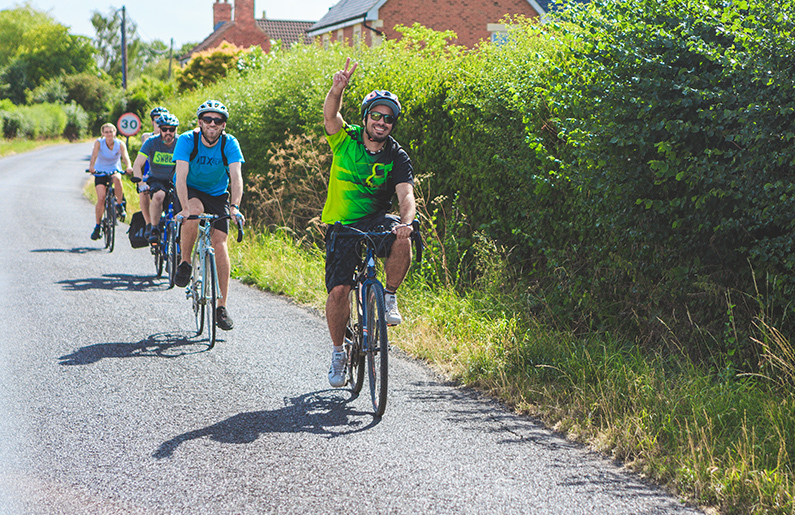 Red Fox Cycling currently offer two rides to WOMAD – one leaving from London (a two-day ride) and one from Bristol (a one-day ride) and both arriving at WOMAD on Thursday 25th July. The Red Fox team will meet you at an easy access point (Richmond for the Londoners, Temple Meads for the Bristolians) and here they’ll load your festival gear into their support van leaving you free to enjoy the journey. All rides are in groups and led by experienced guides who will expertly navigate the journey for you. You’ll travel through some of the most idyllic countryside; think rolling hills, magnificent views, beautiful villages, and charming riverside towpaths. And it’s not just about cycling, there’ll be plenty of time for socialising so you can look forward to making new festival buddies before you even arrive! Worried about how you’ll sustain yourselves with all that cycling? Fear not, Red Fox will provide drinks, snacks, and lunch to keep you fully nourished for all that pedaling. You’ll stop in beautiful locations on the way for a chance to rest, refuel and of course, have a catch-up and chat. 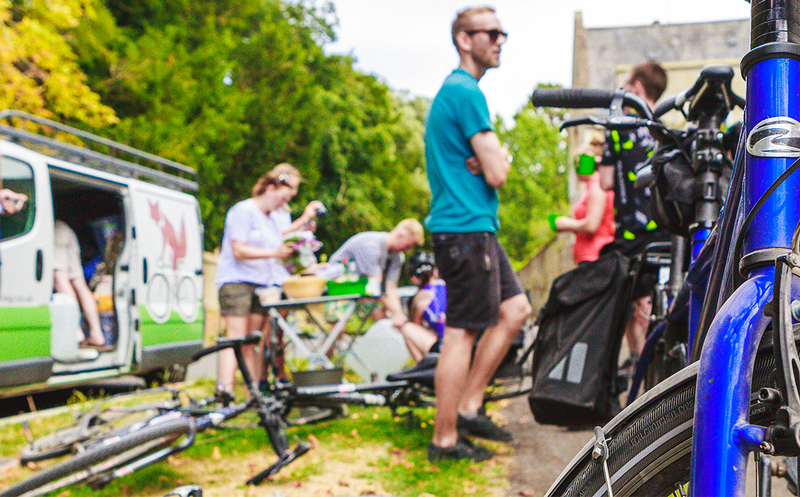 Red Fox has teamed up with the fantastic Dorset Cereals who are providing the breakfast for the London ride this year so you know you’ll be in for a delicious start to the day! 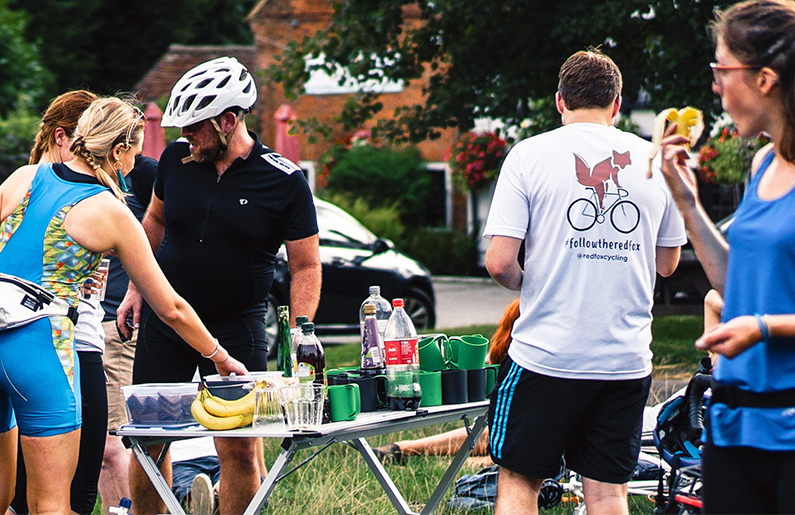 As part of the London ride, you’ll also camp overnight in the gorgeous village of Watlington and enjoy dinner (self-funded) in a local country pub. A chance to unwind and bond with your fellow festival-goers over a drink or two! Not only will you arrive at WOMAD feeling refreshed and in the festival spirit, you’ll also be helping to protect our beautiful planet. Did you know that up to 80% of a festival’s carbon emissions are down to audience travel to and from the festival? By traveling sustainably you’ll be helping to reduce this figure. And if you didn’t have reason enough to get on your bike, we’re offering the first 8 riders a free weekend pass to use our La Di Da Loos. And, every rider who books will be entered into a prize draw to win one of two pairs of WOMAD Spa tickets (worth £140!). If you cycle to the festival you can leave your bike at Customer Care. There is a charge of £1 per item for this service. Please bring your own bike locks.